Nature's Path (one of my fave food companies) is celebrating a special anniversary - they have been family-owned and proudly Canadian for 30 years! In 1967, with just $7 in their pockets and a $1,500 loan, the Nature’s Path co-founders opened the country's first vegetarian restaurant. They started Nature’s Path out of the back of that restaurant in 1985. 1. Heat 1 tbsp coconut oil in skillet set over medium heat. 2. Add carrot, onion, red pepper, garlic, chili powder, salt, cumin, oregano and pepper. 3. Cook, stirring occasionally, for 3 to 5 minutes or until vegetables are tender. 5. Add vegetable mixture, 1 1/2 cups black beans, juice pulp and lime juice to food processor. 6. Sprinkle in egg replacer. 9. Mix in remaining beans, flakes and cilantro until combined. 10. Divide the mixture into 4 1/2-cup portions. 11. 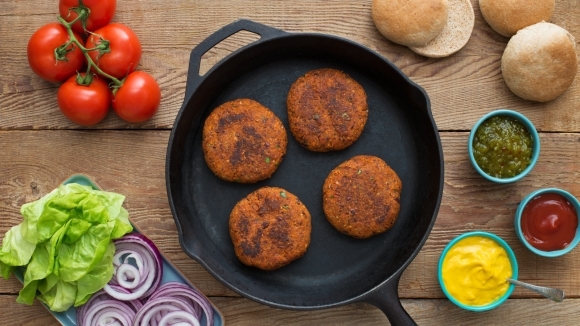 Shape into 1-inch thick patties. 12. Preheat oven to 350°F (180°C). 13. Line baking tray with parchment paper, set aside. 14. Heat remaining oil in a large nonstick skillet set over medium heat. 15. Cook patties in batches for 4 to 5 minutes per side or until golden brown and heated through. 16. Place patties on prepared baking tray and bake for 5 to 8 minutes or until slightly firm and crusted. 17. Serve patties in buns with desired toppings. Tip: For a true fiesta flare, top Veggie Burgers with Tex Mex condiments such as salsa, guacamole and pickled jalapenos. 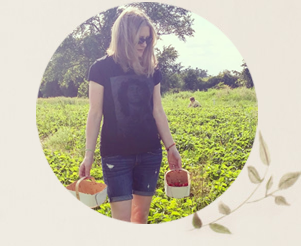 Nature’s Path 30th Anniversary Giveaway! 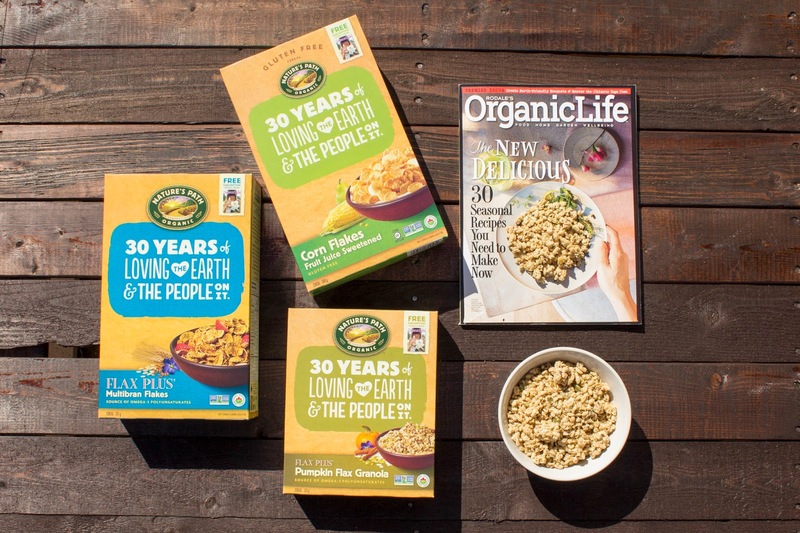 Nature's Path is giving one Woman in Real Life reader a fun prize pack including 3 limited edition 30th anniversary boxes of cereal and granola, 3 product vouchers, a 1-year subscription to Organic Life magazine, plus 2 additional free subscriptions for your family and friends (via on-pack promotion). Prize may not be exactly as shown. Contest is open to Canadian and US residents only. Enter using the rafflecopter below until June 17th. Have you tried Nature's Path products before? Nope,I have not tried them. I don't recall ever seeing them,either! one of my favourite cereals is their Red Berry! My absolute favorite is the Dark Chocolate Macaroon granola. So yummy! No, I don't think I've tried the, but I want to. The pumpkin flax granola is a favorite. So tasty! I love that granola too! That's my daughter's favourite too! I've had their instant oatmeal. I have not tried Natures Path products. yes I have,I love the Natures Path homestyle waffles. I love Nature's Path cereals and my favourite is their smart bran! I've tried their cereals and they are delicious, excited to try other products! I love their products. We often buy their Variety Pack Hot Oatmeal. I have not tried Nature's Path yet. I would love to try one of their granola cereals for breakfast, though. I'm currently hooked on the hemp granola....love the texture! I've never tried this product, but I would like to. No, have not tried these tasty sounding products. I haven't tried them yet, but the Pumpkin flax granola sounds really good. No, I have not tried Nature's Path products before. Yes I have tried the products and I buy the Flax Plus Multibran Flakes. They are delicious. Their Love Crunch dark chocolate granola is my fave. I eat it everyday for breakfast, with my yogurt. I've tried many of their cereals. I like the chocolate love crunch. I have not yet tried Natures' Path products, but would like to. I've tried their crackers and really like them. Nature's Path Blueberry Cinnamon Flax is one of our favourite cereals. I am a huge fan of Nature's Path Blueberry Cinnamon Flax. I've tried Nature's Path crackers and granola. Vanilla Almond Granola is my favorite. I've tried their granola before, but I can't recall what flavor it was only that I really liked it! I love their Heritage Flakes breakfast cereal and their granola. I know I've tried their products before, but I don't remember which one. Have not tried it yet but looks great! No I have not but I am very curious about their products. Yes, I've tried the oatmeal. I have not tried Nature's Path products before but have always wanted to. No, I've never tried Natures Path products but I would love to try their corn flakes and flax seed cereals! I love Nature's Path they have awesome granola bars! I tried their bars I really liked them! yes, i have! I like the Qi'a super food cereal! I just love the Love Crunch granolas. 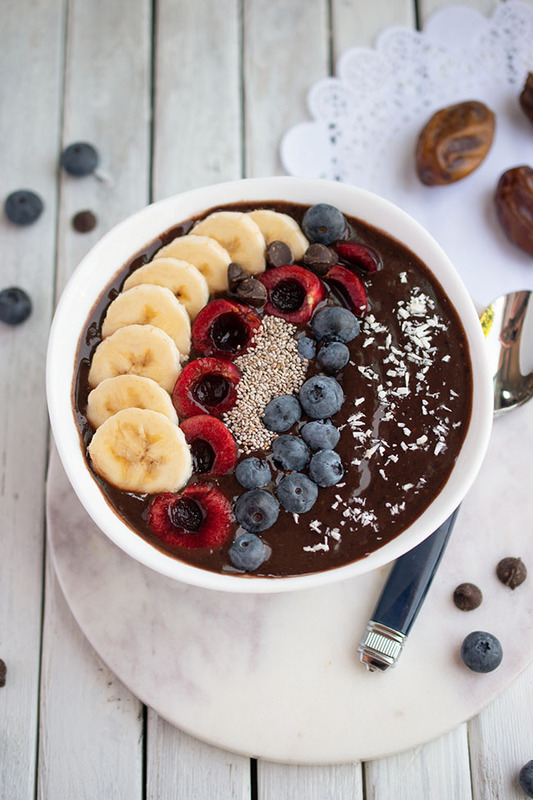 Gingerbread and Dark Chocolate with Berries are 2 of my favorites. Thanks for the giveaway! I have not tried Natures Path products yet. I have never tried Nature's Path before. We enjoy the Nature's Path cereals but haven't tried any of their other products yet. I haven't tried them. But they sound like a great variety of healthy goods! I haven't tried them, but I would like to as they are healthy. Yes, I have tried their products and I am a huge fan! I like their Sunrise Crunchy Maple Cereal. I think I have tried a few but I don't recall which ones. Yes, I love the granola cereal. I have never tried Nature's Path products so I don't have a favorite. I would love to try them, though! Nope I have not tried them yet. I have not tried any of them yet but I would love to. I love granola. I have not tried Nature's Path yet, but would love to! I'd love to start with their cereals! Yes, I love their pumpkin flax granola!